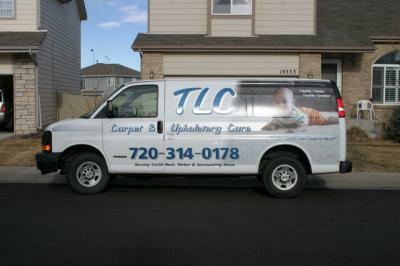 Carpet Cleaning and Indoor Air Quality- Highlands Ranch CO.
Further, she wrote that debris gets trapped in the carpet fibers and underlay, which is usually not removed by normal vacuuming. This view is not uncommon. In fact, going back nearly 40 years, entire school districts and many administrators involved in facility management believed carpeting negatively affected indoor air quality (IAQ). We know that carpet absorbs contaminants like a sponge, but once saturated, they can become airborne with use and foot traffic. However, according to Werner Braun, former president of the Carpet and Rug Institute (CRI), these beliefs are based on old data. He agrees with Wosnack that carpet by its intrinsic nature does hold and trap settled materials such as dust particles and other allergens. This would imply that carpet actually protects human health and indoor air quality instead of contributing to the problem. Both Wosnack and Braun have their share of supporters. Many of the people who, like Wosnack, oppose carpeting, do so mainly because of the way some carpet is made and because the majority of carpet, once removed, ends up in already-crowded landfills. And even those who cite studies that prove the health benefits of carpeting might still take Braun’s view with a grain of salt. After all, he formerly was the head of an organization that represents the carpet and rug industry, which advocates the benefits of carpeting. So who is right, and is there even a right or wrong? Fortunately, a January 2014 study conducted at Airmid Healthgroup appears to offer answers in this debate. To perform the study, Airmid Healthgroup created different chambers in which new and used carpet were installed. In addition, one chamber contained a hard-surface floor. Each section of the carpet was individually laid under controlled temperature, relative humidity and air changes per hour. The new carpet was contaminated by introducing aerosolized house dust mite and cat allergens into the chambers. After this, the researchers then created “room disturbance” in the chambers, with the goal of making the now-settled contaminants airborne. Finally, airborne contaminant counts were taken in all of the chambers. The types of floor coverings and even the different types of carpeting do have a significant impact on airborne particulate concentrations. One of the carpet, a 100 percent nylon, medium-pile broadloom carpet, consistently performed best in trapping contaminants. According to the U.S. Environmental Protection Agency (EPA), nylon is the most popular fiber used as the face fiber in commercial carpet in the U.S.
As to the validity of the findings, while the study was carried out under test conditions (such as controlled temperature, relative humidity and air changes per hour), “they replicated those found in real-world setting,” said Mahon. This debate is not over without discussing one further finding. According to the report, carpeting can help protect health and indoor air quality; however, that is dependent on regular and proper cleaning. This is because the researchers also concluded that should the carpet become saturated with contaminants, the positive benefits reported will be reduced. For proper cleaning, regular vacuuming with high-performance, high-quality, air-filtered vacuum cleaners is the first step to remove dry top-surface soils. However, to remove soils that have been pounded deeper into carpet fibers, the researchers recommended the use of hot-water extraction. As opposed to using cold water, hot-water extraction, according to the researchers, was able to more thoroughly clean carpet and remove deeply embedded soils and contaminants, helping to prevent them from becoming airborne. The study indicated that proprietary hot-water extraction cleaning — which typically refers to heating water/solution to 212-degrees F when using portable extractors — is highly effective at reducing allergen levels in carpet. In a sense, both Wosnack and Braun are right in their beliefs and conclusions. Braun rightly believes that carpet prevents contaminants from becoming airborne. And Wosnack is right that, unless they are properly cleaned and maintained, there is a possibility that carpet will become saturated and foot traffic and other disturbances will cause dust and allergens to be released. However, ultimately the conclusion of the study is that carpet does help protect human health and indoor air quality … it simply has to be properly maintained.